How would you like to be on the cover of a magazine in West Palm Beach Florida? What a great asset to your portfolio! We are excited to announce a quarterly photo contest this year exclusive to our Members living within Palm Beach County! 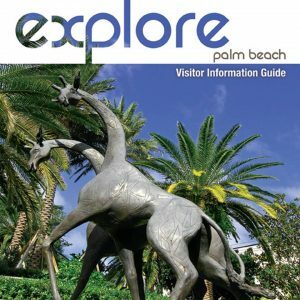 Each quarter we will announce a general location in Palm Beach County, your challenge is to photograph that general area. The work submitted to us will be forwarded to the Explore magazine publishers. The publishers will choose a winner. The winning photo will be published on the front cover of the magazine with the photographer’s name. A description and personal recognition will also be printed within the magazine. Get out there and get snapping! Photograph the area and submit by the due date provided to marketing@workshop.org to ensure your work is reviewed for the right issue of Explore! All submissions must be submitted to marketing@workshop.org no later than the due date mentioned in chart above. Must be Local Photographer within Palm Beach County area. The photo cover size is 7.0″ wide by 9.0″ high with a 0.25″ bleed on all 4 sides. Palm Beach Photographic Centre Membership must be valid at the time of submission. To buy or renew your membership, click here.